Lisa Dawson is an award-winning interiors writer, blogger and co-host of Revamp Lifestyle Reveal. She is the monthly columnist for Real Homes. Passionate DIYer? Keen renovator? Or just a self-confessed interiors addict? Then the Homebuilding and Renovating Show is a must-visit. Returning to London's ExCeL Centre between 21 and 23 September, you'll have the chance to explore over 360 specialist brands and get free advice on from the Real Homes team. 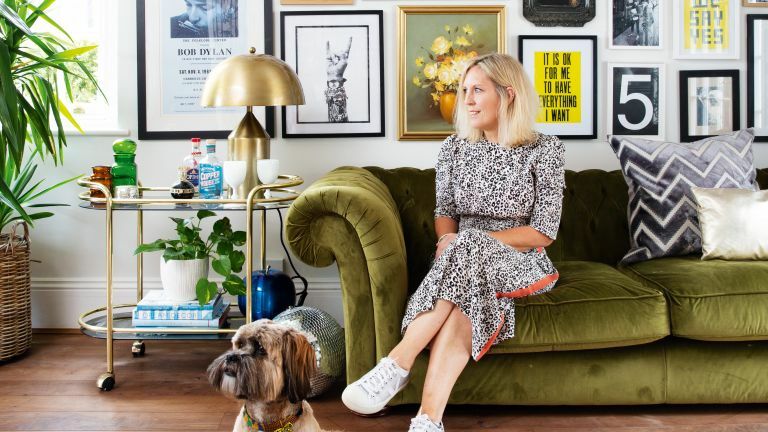 But there’s more… as well as getting to see our lovely faces, the blogger queen, Instagrammer, interiors guru (and, ahem... our new columnist) Lisa Dawson will be joining us on Saturday 22 to answer all your interiors related questions. So, all you have to do is get your tickets and then head to the Real Homes stand when you arrive to book your slot. Standard tickets for the show are £12 in advance or £18 on the door (children under 16 go free). For more details, visit homebuildingshow.co.uk/london or call the ticket hotline on 0871 231 0824 (calls cost 13p per minute plus network extras). Make sure you take advantage of our exclusive offer and register for two free tickets for the show.